NC Slitter Scorer (SNS-5 / Single) - Ming Wei Paperware Machinery Co., Ltd.
Slitter knives: 6 sets, Scorer wheels: 10 sets. 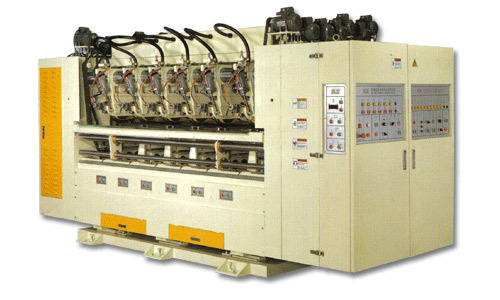 Automatic knife grinding device can be pre-adjusted by the expected using length separately. Adopt air-cooling system for the slitter knives instead of oil spray to avoid abnormality of knife, and roll pollution on the cardboard.